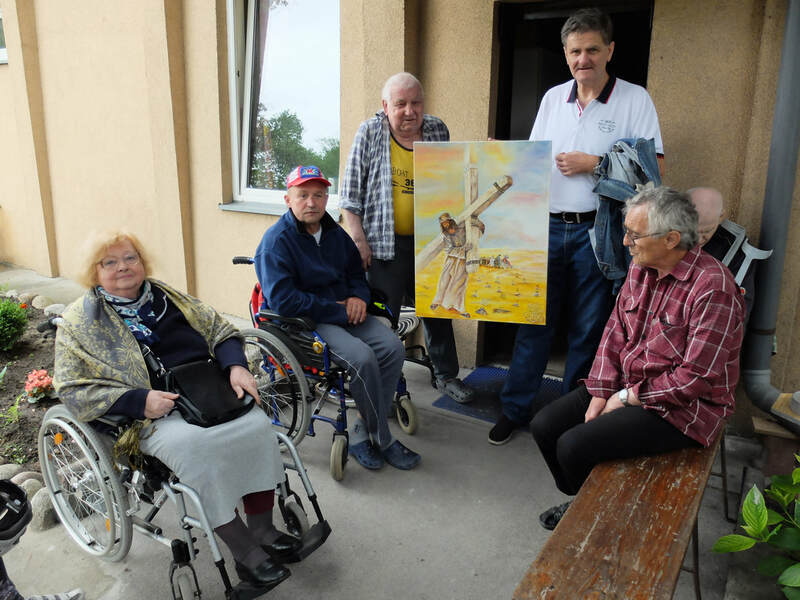 The Holy Cross Hospice Association combines the work of a hospice with the complex support of the poorest and homeless in Poland's capital city. The hospice helps those who are poor, ill, disadvantaged and lost. The hospice has cared for many thousands of people suffering from poverty and serious illnesses including cancer, heart disease, multiple sclerosis, paralysis, the consequences of amputation etc. These are people with disabilities, families with invalids and ill children, a huge number of homeless people, those without insurance, families with many children struggling after the death or departure of a spouse, dysfunctional families, victims of domestic abuse who can't care for their children, and many people who are just very poor. The hospice works in Warsaw and the surrounding area but many of the people under its care come from far away, the homeless are from all over the country. All services provided are free. in 2017, an ambulatory blood pressure monitor and pulse-oxygen meter. "Because there are many people who need constant delivery of oxygen, our equipment is in constant use. There is never enough because the number of patients is growing. We have just had to withdraw from use two damaged oxygen concentrators and must buy two new ones for specific patients. At the same time, despite a lack of space, we need to admit a new patient in a few days - he is homeless and very ill, recovering from tuberculosis, with coronary heart disease and poor circulation, asthma and emphysema. He also needs access to oxygen. Returning from the hospital to the abandoned building that is his home would mean a quick death. We are the only hospital shelter and provide two locations - with medical, social, legal, psychological, sociotherapy and spiritual care, as well as full meals, where accommodation and treatment is free, and the length of an individual's stay depends on their condition and needs, not regulations. We thank you warmly for the gift of two oxygen concentrators that are so very needed by our patients." Read more on the hospice webpage.